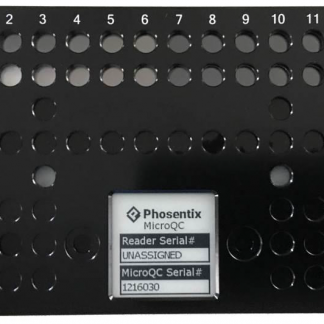 MicroQC AF Plate (Passive Unit- No active Electronics) *NEW* Microplate Reader Validation Test Plate MicroQC Plate Quality Control MicroQC A Plate is a single function plate for users who only need to test the absorbance function of their microplate readers. 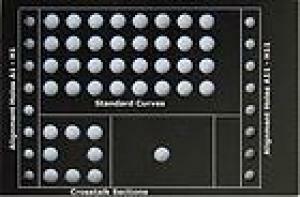 The MicroQC A plate provides 12 standard absorbance values. Can be used for Tecan Sunrise, Spectra (or Equivalent). See Full desc. below for more details... Includes: 1 Year Warranty. Includes: Technical Helpdesk Support Lead-time: 7 business days. Free Shipping! MicroQC AF Plate (Active Unit+ Active Electronic) Base Unit: Absorbance *NEW* Microplate Reader Validation Test Plate MicroQC Plate Quality Control Can be used for Tecan Sunrise (or Equivalent). See Full desc. below for more details... Includes: 1 Year Warranty. Includes: Technical Helpdesk Support Lead-time: 7 business days. Free Shipping! 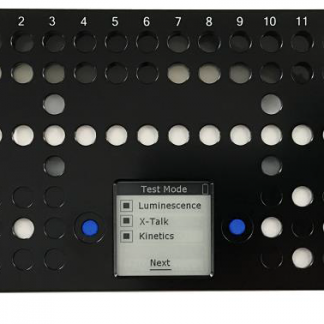 MicroQC AF Plate (Passive Unit- No active Electronics) *NEW* Microplate Reader Validation Test Plate MicroQC Plate Quality Control Absorbance, or Fluorescence, the MicroQC AF plate provides 12 of each standard. Can be used for Tecan Genios (or Equivalent). See Full desc. below for more details... Includes: 1 Year Warranty. Includes: Technical Helpdesk Support Lead-time: 7 business days. Free Shipping!